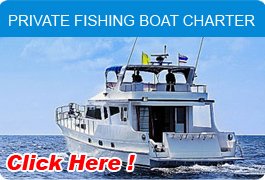 Diving vacations in Phuket scuba diving dive point including Phi Phi islands day trips, dive King Cruiser wreck, dive Racha Noi, dive Racha Yai, Phuket dive Shark Point, dive Anemone Reef, dive Koh Doc Mai and the dive Phuket day trips diving Similan Islands. 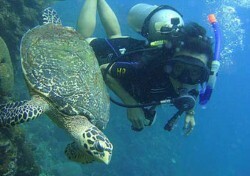 * Diving tour price not inclusive the equipment for diving. The Price is for staying in Patong, Kata, Karon locations and the Center of Phuket Town. If you are staying in another area, then most tours have an extra charge for transportation 200 - 500 baht / per / person depending in hotel area and distsance from pier. 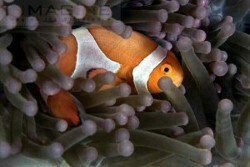 This fantastic ship wreck, which sank on the 4th of May 1997, is located close to Anemone Reef. The wreck contains a huge car deck, a middle deck with salons and dining rooms and a sun deck with a very interesting captain's cabin. 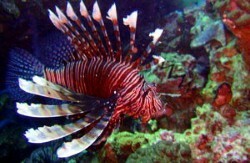 Lots of small fish such as lion fish, cuttlefish and crabs have already made their home in the wreck. Barracudas and other hunters are also common. Shark point is a small rock outcrop to the south east of Phuket. Shark point is one of the most popular dive sites made famous for its resident leopard sharks and moray eels. Shark point is made up of a series of coral pinnacles rising from a sandy bottom of 20 meters to within 3 to 4 meters from the surface. Ko Dok Mai is a lime stone cliff island that soars majestically out of the sea to form a spectacular wall dive. The eastern side is a wall dive with a depth of 25 to 30 meters. The wall is covered with tube corals and gorgonian sea fans. There are underwater caves and a variety of schooling fish. The western side slopes gradually from 3 to 25 meters. 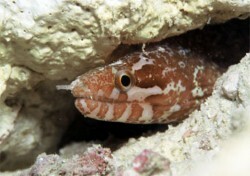 There are large barrel sponge and often sightings of moray eels. Phi Phi Island is a group of impressive limestone islands. A number of caves can be explored as well as a wealth of underwater life, including lionfish, scorpionfish and a kaleidoscope of hard and soft corals. 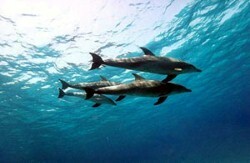 Two of our four "Super Sunday" dives will be done at these islands. An additional third dive is at Shark Point and the fourth, a night dive, goes to Koh Doc Mai - an impressive coral covered rock between Shark Point and Phuket. Racha Yai (the large Racha Island) is a tropical island almost untouched by civilization. Amongst a healthy selection of hard and soft coral are many feather stars, puffer and lionfish. 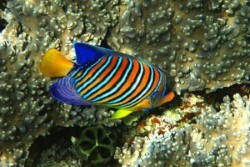 You can see beautiful hard and soft corals and a magnificent variety of tropical fish at all the dive sites. 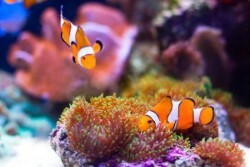 In the deeper sandy areas you'll discover garden eels and blue spotted rays. Leopard sharks are ocassionally seen here as well. The reefs here are excellent for divers and snorkellers alike. The island has excellent dive sites for experienced divers as well as shallow bays for beginners and snorkellers where you can enjoy beautiful hard corals, large granite boulders covered in soft corals, feather stars surrounded by abundance of colourful reef fish. 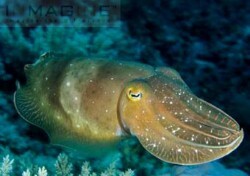 see all manner of marine life from vibrant reef fish to beautiful eagle rays. 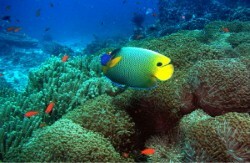 The Similans have a huge variety of marine life. Here you can enjoy many of the most common fish species such as, butterflyfish, triggerfish, anenomefish, surgeonfish, batfish as well as some of the more special ones such as lionfish, frogfish and ghostpipefish. For the macro lover there's quite a few species of nudibranch, crabs and shrimps, cowries and shells and for the ones who are more interested in the larger fish can encounter turtles, tunas, barracudas, napoleon wrasse, stingrays and even sometimes sharks.